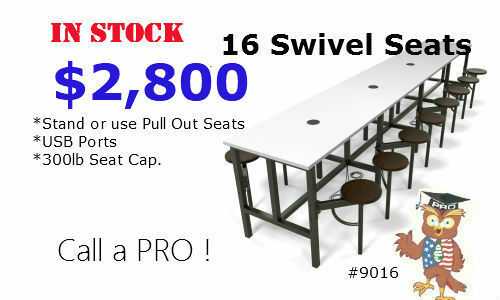 Training Room Tables OFM 9016 $2800, with pull out swivel seats. 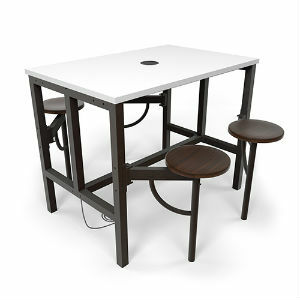 This multi purpose table has USB/Elec. ports. In stock for fast delivery. 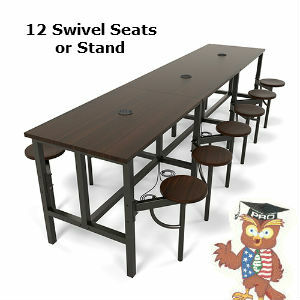 Training Room Tables OFM 9016, were designed for use as a 'standing' work platform or as a comfortable 'sitting' stool. The unique stool can be pulled out if desired. 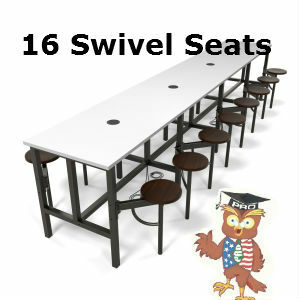 School Work Tables $2800. 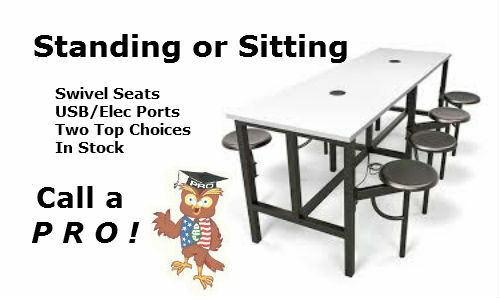 Designed for use as a 'standing' work platform or as a comfortable 'sitting' stool. The unique stool can be pulled out if desired.